Just like the mirror name it tells us, with this new design, 21 mirror strips are put side by side against each other. In spite of all these strips, the reflecting image remains as one whole and the mirror is still functional. 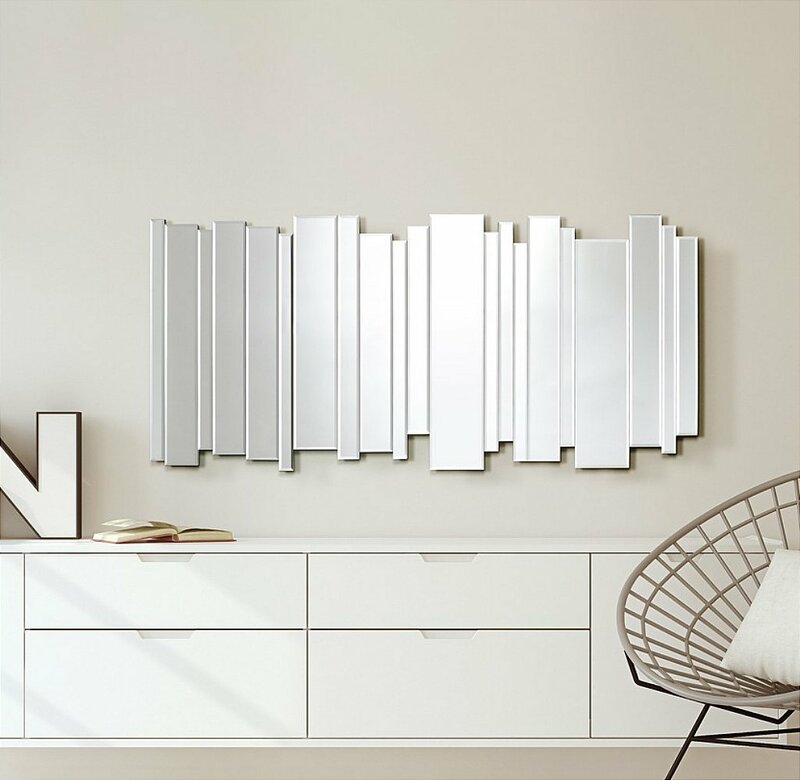 In the width -or in the height in case of a horizontal suspension-, all mirror strips are different in length, which creates a playful and varying image. The 21 mirror strips are all bevelled and are lying on a MDF support. 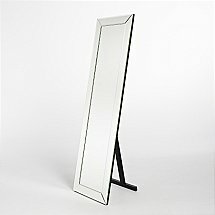 The outside dimensions of this mirror are 150 x 70 cm. 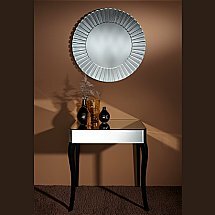 -SIDE BY SIDE- can be used both as a full length mirror and as a sideboard mirror. 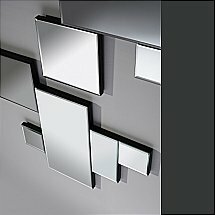 The mirror can be hung in 2 directions -horizontally and vertically-, each time by means of 2 suspension points -D-rings-. 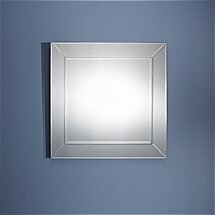 I would like more information about Side By Side Mirror by Deknudt Mirrors.